Introduced in 2012, our new Mixte-styled Roundabout has been turning heads in hip metropolitan centers from Portland to Barcelona. Featuring a stylish Kona Cromoly frame with detailed lugs and an oversized headtube with internal headset, the Roundabout is all about simplicity, elegance and a smooth, efficient ride. 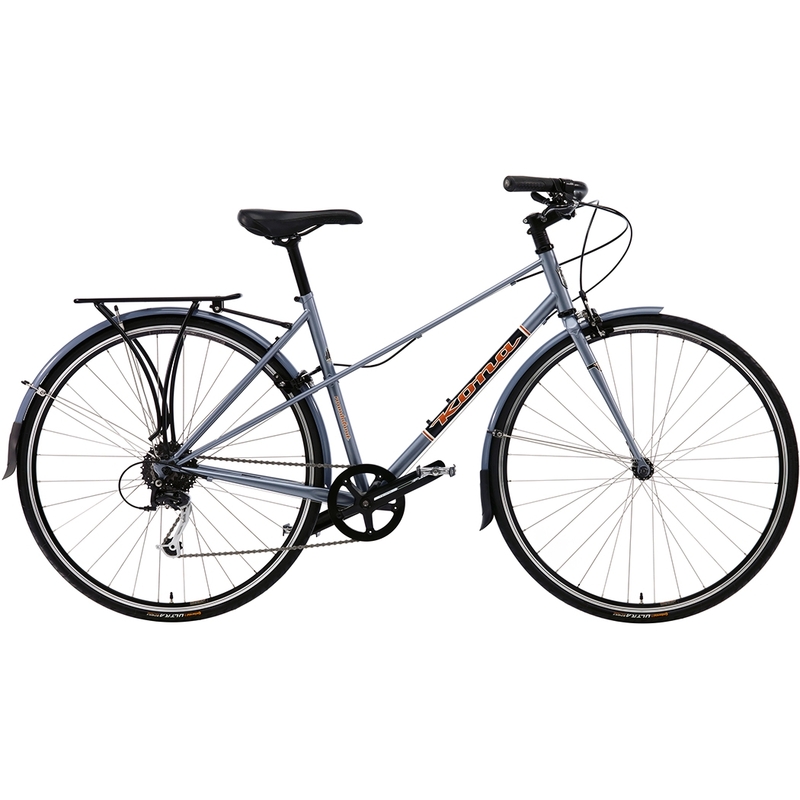 This year, it comes with full long-tail fenders to keep your feet dry, and a svelte rear rack that sits low over the rear fender and has a very narrow top deck, perfect for side panniers. "The Kona Roundabout is a good choice for cyclists who want both style and substance. It offers a smooth ride and is sure to turn heads." – Momentum Magazine, Canada.